Satterfield's Automotive Repair offers the finest auto service and maintenance in the Jacksonville area at competitive prices. As an ICar™- and ASE™-certified garage, our experienced, professional technicians provide the knowledge of auto repair, attention to detail, and excellent customer service to get you out of the door and back on the road as quickly as possible. For your convenience, our garage provides a clean, organized environment and a waiting area, and you have the final say in all decisions concerning your vehicle. Whether you come in for brakes, oil changes, or our specialty classic car refurbishing, you can count on Satterfield's Automotive Repair to communicate in a friendly and honest fashion with you about your vehicle's needs and have you on your way in no time. Businesses of Jacksonville Award in the Auto Repair category by the Best Businesses of Jacksonville AwardProgram. community. These exceptional companies help make the Jacksonville area a great place to live, work and play. the small business community's contributions to the U.S. economy. 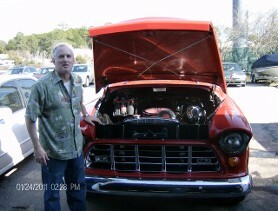 Headlight Refurbishing - Like Brand New - See Pics you won`t belive it but I can !!! Whether you want to fix your foreign or domestic car, truck, van, SUV, or diesel vehicle, Satterfield's Automotive Repair is just the place for all your auto repair needs. From brakes and oil changes to auto service and maintenance, our garage provides the finest in auto repair services without costing you an arm and a leg. Call us today for more information on the fantastic services that we have to offer. Present This Coupon and Receive 10% Off Labor on Your Next Service. Contact us for the best garage in Jacksonville, Florida, for auto repair and maintenance. Saturday9:30 a.m. -- 2:00 p.m. 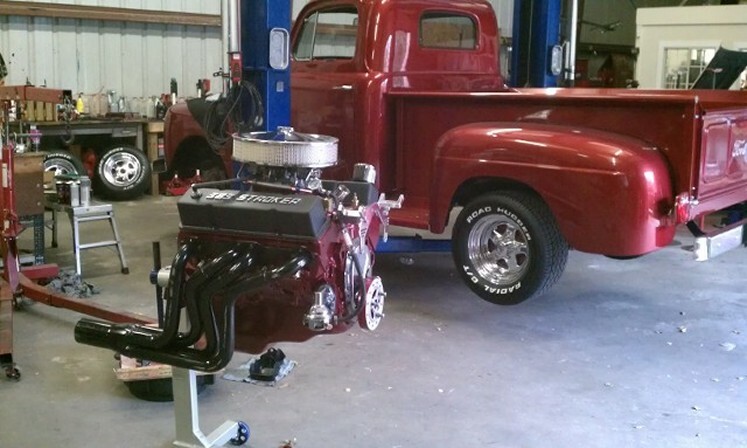 This is Mr. Wall the Owner of this 1955 Chevy 3100 P/U Apache, his Engine and Rear Differential I did work on Nice ya think, and below is a 1971 Mustang Mach 1 and the work I did on this Engine, and below that is a 1966 Mustang Coupe I work on for Mr. Harold Davis. Be sure to go back up to the top and look for new Images in the upper left hand corner of this page click on one of them and see!!!!!!!!!! !